In Operate, you can collect recurring payments from your clients, using the Operate Portal and a payment gateway of your choice (from the list of supported processors). You integrate one of the supported payment processors into your Operate Portal. Find out more in the Portal Payments Section of the Knowledge Base. Your clients add their own payment methods and enable Autopay for recurring payments. Once your clients make a first payment, you will be able to use the Operate system to automatically collect the payments without your customer needing to submit a payment themselves. Go to Settings > General > Payment Processors and select the one that you have integrated with your Portal. In this guide, we will work with Rentshare; however, the process is generally applicable. On the next screen, click Start Collection. 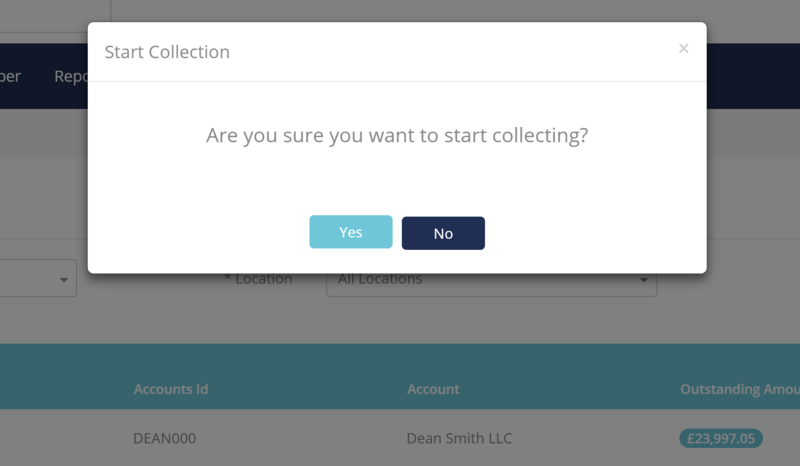 As needed, select the Organization and/or Location for which you want to collect payments. Check the balance and if it looks good, then check the Agreed checkbox. Click Collect Now when you are ready. Operate will ask you to confirm if you want to start collecting. Click Yes. Your collection will now be completed and you will be prompted to download a collection log (it will also be sent to you via email). The log needs to be reviewed to see if there are any payments that failed - if there are, you would need to reach out to your clients and clarify. (this is often due to credit cards on file being past their expiration dates). One of the key benefits of using autopay is that the payment will also be added to the accounts receivable module and will be reconciled against the outstanding invoices. However, Operate will not reconcile the payment if an account has an outstanding credit or journal that has not yet been allocated, in this instance a payment will be added and the balance will be updated only. Should this occur, there will be a note against this payment in the log and you will need to edit and reconcile the payment manually.